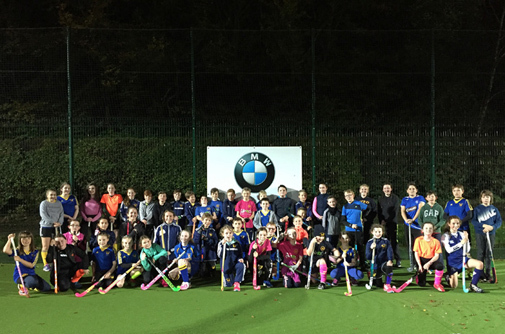 Uddingston Hockey Club are delighted to announce they have agreed a three-year sponsorship agreement with local business Douglas Park BMW who will come on board as the lead sponsor of their in-school coaching programme. 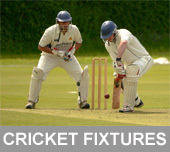 This programme currently consists of four full time club coaches going out into the community and carrying out taster sessions across various schools with different classes being included each term with the aim of establishing lunch and afterschool clubs within each school. 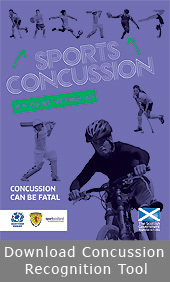 This agreement with Douglas Park BMW has allowed the club to expand the programme to include 15 primary and 5 secondary schools from South & North Lanarkshire and the East end of Glasgow to take part within the programme with over 18,000 different children being given taster sessions over the full school year. The first term August to October of the Douglas Park in-school programme is now complete and has got off to a flying start with the focus being on primary 5 to 7 and 1st Year within secondary schools that has seen the establishment 32 lunch / afterschool clubs with numbers attending ranging from 25 to 70 pupils per club with attendance only limited at times by the schools own facilities. This fantastic agreement with Douglas Park BMW has also allowed the club to offer the chance for each school to utilise our world class hockey pitch based at our grounds in Uddingston. 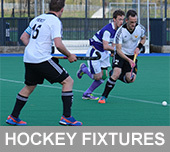 All schools now have the option to utilise the clubs own facility for in-school taster sessions or to hold after school clubs at the facility with coaching and transport being proved to not only enhance the quality of the experience and coaching but also to allow the pupils to see the facility they would attend if they decided to then progress from school clubs to Uddingston Hockey Clubs own youth coaching sessions on a Tuesday or a Thursday 6 to 8pm. 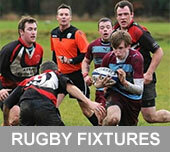 The second term October to December will also see the beginning of inter-school matches for primary 6 & 7 children where excitement will be at an all time high as schools look to play head to head to be crowned the top school within the programme. The programme will also be continuing with the renowned school festivals for primary 4 & 5 where more than 500 children take part over the 3-day festival. 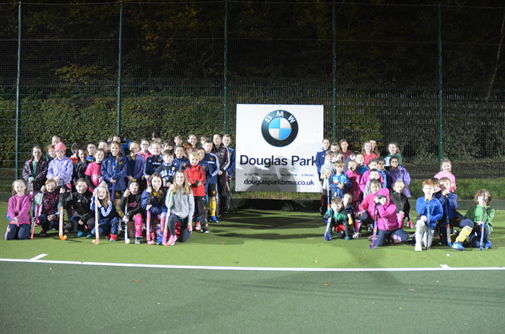 Uddingston Hockey Club would like to thank Douglas Park BMW for their support, without whom, they could not deliver such an extensive and rewarding programme, encouraging not just participation in the sport but also promoting an active lifestyle and social interactions across the community.